The European Parliament also extended the initial proposal to cover assistance for disabled passengers. "Disability may not be used as a reason for denying a passenger the right to board," reads the new EU regulation, adding that "free assistance must be provided to disabled people in ports". The new rights for disabled will be restricted, however, "on condition that the carrier or the port operator is notified when the reservation is made or at least 48 hours before boarding". The rules will also apply to cruise passengers. Camara Municipal, por iniciativa do vereador Jooji Hato, tem a hora de convidar-lhe para a solenidade na qual será homenageado o Diretor da Turismo Adaptado, Ricardo Shimosakai, pelos servi?os prestados à cidade de S?o Paulo. O evento acontecerá dia 13 de agosto de 2010, às 19h00 no Sal?o Nobre. Após o término da sess?o, será oferecido um coquetel de confraterniza? ?o no Restaurante Escola S?o Paulo, no 1o subsolo deste prédio. Todos est?o convidados. Many wheelchair users in the US know of Braun Corporation's longstanding status as an innovator and reliable supplier of accessible vehicles. This press release presents further evidence of their commitment to the transportation needs of people with disabilities. Thank you, Braun! WINAMAC, IN, July 26, 2010--The Braun Corporation, the world's largest manufacturer of wheelchair-accessible vans, ramps and wheelchair lifts, today published key insights from a symposium hosted recently in Washington, D.C. titled "ADA 20/20: Looking Back, Looking Forward on Mobility." In anticipation of the 20th anniversary of the Americans with Disabilities Act (ADA), the panel of key thought leaders from government, medicine, academia and business exchanged insights on current thinking around future mobility needs for Americans with disabilities. The event was co-sponsored by Braun and The American Occupational Therapy Association (AOTA), which represents approximately 39,000 occupational therapists, occupational therapy assistants and occupational therapy students. We've made progress, but we have far to go. Though accessibility began as an issue of meeting requirements, it is evolving to a moral virtue and national imperative. However, while the institution of ADA led to the adoption of much needed policies and technologies (i.e., modifying public transportation to be accessible to people in wheelchairs), the journey to full accessibility and mobility for people with physical disabilities has been frustratingly slow. Universal Design creates economic and daily life benefits for everyone. The concept of universal design is to develop products, services and environments in ways that maximize access for all and enhance safety and livability. Applying universal design to mobility products, including the hospitality industry and wheelchair-accessible minivans, was viewed as a necessary means to integrating people with physical disabilities into broader society as well as a collective benefit. Need for ongoing collaboration between business, academic and government sectors. Traditionally, the "disability rights movement" has served as an umbrella under which government agencies, associations, businesses, etc. promoted different agendas. A new era is needed where the private and public sector unite to reach common goals of inclusion, accessibility and improved mobility for Americans with disabilities. Need to increase awareness of technology and mobility options. Personal independence and freedom are linked to the ability to transport oneself, and as the number of Americans with disabilities increases with the returning of injured military veterans, and baby boomers taking care of their parents, there is an even greater need to raise awareness of technology and mobility options. For young Americans with disabilities, mobility is particularly important, as it can affect their employment, social standing, acceptance and the chance for a productive and independent life. Business has the opportunity to lead the way to shifting perceptions. When the ADA was passed 20 years ago, many business leaders predicted that conforming to its policies might mean bankruptcy for corporations. The business community holds increasingly positive views of employing and meeting the needs of the disabled community, leading a general shift in perception of people with disabilities from "problem" to "opportunity." It is important for companies to have the knowledge to support and keep valued workers on the job as they grow older. "We have made great strides in providing accessibility to people with physical disabilities," said Ralph Braun, Founder/CEO, Braun Corporation. "But it's been a slow journey...too slow. We need to find ways to accelerate the process so that 20 years from now the world is significantly more accessible than the one we live in today. People with physical disabilities may need special consideration but they are not asking for special treatment...just equal access to all the world has to offer." To review the full findings from the event, please visithttp://www.braunability.com/ada-20-20.cfm. The 5th Annual Florida Open Tournament for Golfers with Disabilities is scheduled to take place on August 28th, 2010 at PGA Village on the PGA Golf Club's Tom Fazio Designed Wanamaker Course. The PGA Golf Club is located at 1916 Perfect Drive, Port St. Lucie, FL. 34986. This tournament is also for golfers without disabilities! In a conscious effort to be all-inclusive, golfers without disabilities are encouraged to play in the open tournament, along with their friends with disabilities. All golfers are eligible to compete for the Low Gross Awards. Everyone with a USGA Handicap is eligible to compete for the Low Net Awards. Stroke Survivor Ian Halliwell is the 2009 defending Open Champion and will be there to defend his title. Raising money is definitely not the goal of the annual golf tournament. The $50 entry fee includes 18 holes of golf on the PGA Golf Club's prestigous Wanamaker Course, Cart Fee, Rangeballs, Prizes and the Awards Banquet. , the goal of the open tournament is to "have fun while raising awareness of accessibility issues concerning golfers with disabilities and/or mobility challenges." Sposored by Florida Golf Magazine, Titleist, and Bridgeburg Golf and also supported by the NAAG, PGA, USICD, EAGA, NAGA, the Adaptive Golf Foundation of America, and the Adaptive Golf Academy. Golfers can enter the tournament online or by phone. Seehttp://www.floridagolfmagazine.com/open or call 863-227-2751. The Special Advisor for International Disability Rights is responsible for leading the Obama Administration's efforts to develop a comprehensive strategy to promote the rights of persons with disabilities internationally; coordinating an interagency process for the ratification of the Convention on the Rights of Persons with Disabilities; ensuring that foreign assistance incorporates persons with disabilities; leading on disability human rights issues; ensuring that the needs of persons with disabilities are addressed in international situations; and conducting public diplomacy, including with civil society, on disability issues. July 26, 2010, Palo Alto, CA - In recognition of the 20th anniversary of the passage of the Americans with Disabilities Act (ADA), Bookshare announces a free membership opportunity for all Americans with qualifying print disabilities, regardless of age or student status. With this offer, Bookshare celebrates the huge strides forward towards inclusion and equality for Americans with disabilities resulting from this act. Individuals with print disabilities including visual impairments, physical disabilities, or severe learning disabilities are invited to sign up for a free membership, good for 20-book downloads per month for 3 months. The promotion begins on August 1 and runs for 30 days. This 20-3-30 free trial creates an opportunity to try accessible books without an upfront commitment to a year-long membership. "We'd love to see seniors, veterans, and other adults with print disabilities experience the joy of accessible reading," said Jim Fruchterman, CEO of Benetech, the nonprofit organization that operates Bookshare. "I'm honored to have been invited to the White House today to celebrate the 20th anniversary of the ADA with President Obama." The Bookshare collection includes many titles of interest to Americans with disabilities of all ages. To see suggested titles, visit Bookshare's Facebook page. With hundreds of books flowing into the collection every week from digital files contributed by publishers and volunteer book submissions, new members will find accessible books they want to read. "Bookshare's contribution to humanity is noble," said Eddy Aboudi, an environmental engineer in New York and member of Bookshare. "This organization is building a better world for people with disabilities. Through the large collection of accessible books and this free trial membership, I have renewed hope that more accessible books and reading experiences are within everyone's reach." Participating individuals will have access to over 77,000 current, copyrighted books, including fiction, non-fiction, newspapers and magazines, as well as two free software applications that simultaneously highlight words and read them aloud using high-quality, human-like voices. In addition to the complimentary Bookshare-provided software, (Victor Reader Soft and Read:OutLoud) individuals can read the accessible books with many of the commonly available assistive devices and software applications. The Getting Started pages on Bookshare's website have information about these tools. Short video tutorials on the Training pages demonstrate how to use the free software tools. "Before Bookshare, our family could count on one hand the number of books we had read together," said Valerie Maples, a Mississippi resident who has severe dyslexia. Valerie, her husband, Doug who is a quadriplegic, and daughter, Nichole with cerebral palsy, are all Bookshare members. Valerie and her husband are also Bookshare volunteers. "We enjoyed our books from Bookshare so much that we wanted to improve the choices available for everyone who wants electronic text. We became volunteers and have taken great pride in scanning and proofreading books, knowing that we have helped to make more books available to others." 1. Sign up at (http://www.bookshare.org/signUpType). Select the over 18 membership option. 2. Complete the contact forms online. Be sure to enter ADA20 in the promotion code field. 4. Fax proof of disability by providing either an NLS certification, an RFB&D member number, or the Bookshare proof of disability form signed by a qualified professional to 650.475.1066. At the end of the 3-month trial, Bookshare will reach out to new members to explore alternatives for continuing memberships, such as an individual membership for $50/year or an organizational membership from a sponsoring organization. Bookshare will waive the $25/ first year set up fee for individuals who want to continue their membership. Full details of this offer are online. Bookshare is the world's largest online accessible library of copyrighted content for people with print disabilities. Through its technology initiatives and partnerships, Bookshare seeks to raise the floor on accessibility issues so that individuals with print disabilities have the same ease of access to print materials as people without disabilities. In 2007, Bookshare received a $32 million five-year award from the U.S. Department of Education, Office of Special Education Programs (OSEP), to provide free access for all U.S. students with a qualified print disability. The Bookshare library now has over 77,000 books and serves more than 100,000 members. Bookshare is an initiative of Benetech, a Palo Alto, CA-based nonprofit which creates sustainable technology to solve pressing social needs. The Americans with Disabilities Act (ADA) was passed July 26, 1990 as Public Law 101-336 (42 U.S.C. Sec. 12101 et seq ) and became effective on January 26, 1992. The ADA is landmark federal legislation that opens up services and employment opportunities to the 43 million Americans with disabilities. The law was written to strike a balance between the reasonable accommodation of citizens' needs and the capacity of private and public entities to respond. It is not an affirmative action law but is intended to eliminate illegal discrimination and level the playing field for disabled individuals. Learn more. Today the nation celebrates the 20th anniversary of the landmark Americans with Disabilities Act. On this day, we recall not only the legislative triumph of the ADA and the changes it has wrought for people with disabilities, we also honor the Congressional leaders, disability community advocates, and supporters who transformed the vision of a comprehensive disability rights law into the reality of the ADA. We also join with colleagues, allies, and family and friends around the country as we pause to acknowledge one of the most important achievements of the Disability Rights Movement and to re-envision a future where disability discrimination and second class citizenship is a distant memory. The first member of the House of Representatives with quadriplegia will preside over the governing body on Monday in honor of the 20th anniversary of the Americans with Disabilities Act. Rep. Jim Langevin, D-R.I., will be the first person using a wheelchair to take the helm of the House. The opportunity is possible because of recent alterations to the House Speaker's platform making it wheelchair accessible through a series of lifts. "I have long said that I may be the first quadriplegic to serve in Congress, but I won't be the last," Langevin, a five-term congressman, said in a statement. "This is an extremely proud moment for me and helps renew my spirit as we continue to remove barriers and strengthen the ADA for millions of Americans with disabilities in the decades to come." A recurring theme here is that home design influences hotel, restaurant, resort, and cruise ship design. Here, from the Star Tribune, is an insight into the sort of Design That's Within Reach that will transform the hospitality industry as the proportion of aging-but-traveling public increases globally. Pots, pans and even the microwave are stored in low pull-out drawers. The wall oven is at shoulder height, and Tolman has easy access to the sink. Usually self-catering occupancy runs around 55% - The Hytte achieved 87% in the first year and 97% in the second, a success Gregory puts down to positive word of mouth. The Hytte has received regional and national awards in recognition of their commitment to access for all, including a gold Enjoy England Award in 2009. "I see things better with my feet." Even with a rewarding job as a psychologist for the Veterans Administration in Seattle, she keeps her suitcase packed - just in case. Together with her partner, Larry, who is also blind, they have been to Europe 6 times, Hawaii 4 times, and have traveled all over the United States and Canada, visiting glaciers, swimming with dolphins, even kissing sea lions. 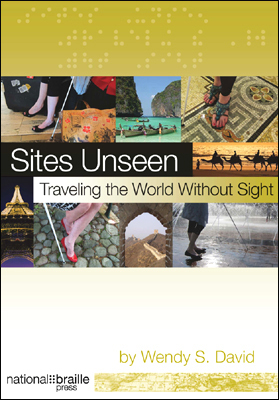 Now she wants to share what she has learned along the way with other blind travelers in Sites Unseen: Traveling the World Without Sight. "Every time I leave on another trip," says David, "blind friends and acquaintances pepper me with questions: 'How do you get around countries with no public transportation? How do you deal with different types and sizes of currency? How do you travel overseas with a guide dog? Who describes the unique sights to you?'" Henrique Saraiva of Adapt Surf surfing at Barra Beach, Rio de Janeiro, Brazil. A ONG ADAPTSURF foi convidada para participar do documentário ALOHA!, realizado pela Oficina Quer?, um Projeto Social desenvolvido em S?o Paulo, nas cidades de Santos e Guarujá. O curta-metragem apresenta o surf adaptado com parte do tema, mostrando alguns personagens representantes da modalidade e também dois surfistas profissionais engajados em Projetos Sociais. Os surfistas convidados participaram das filmagens nas praias do Guarujá, apresentando suas histórias de vida e, principalmente, surfando altas ondas juntos. Henrique Saraiva, sócio-fundador da ONG ADAPTSURF e surfista, juntamente com Valdemir Corrêa, surfista cego de Santos e Robson Careca, referência no surf adaptado, local do litoral norte de S?o Paulo, foram escolhidos para representar o surf adaptado no Brasil. O filme contará com a participa? ?o mais que especial do surfista Otaviano Bueno, o Taiu, que voltará a surfar após o seu acidente, que o deixou tetraplégico em 1991. Para completar a turma foram convidados os surfistas profissionais Jojó de Oliven?a, ex-campe?o brasileiro, e Jair de Oliveira, local de Santos. O grupo permaneceu unido durante três dias, hospedados na Praia da Enseada, saindo sempre bem cedo para gravar e pegar ondas. O clima de fraternidade e uni?o esteve presente durante toda a filmagem, que aconteceu durante os dias 16, 17 e 18 de junho de 2010.
travel has become a reality, indeed a right. WASHINGTON, July 19 /PRNewswire-USNewswire/ -- The Justice Department today announced a settlement agreement under the Americans with Disabilities Act (ADA) with Blockbuster Inc. to ensure equal access to its stores nationwide for individuals with disabilities who use service animals. The settlement agreement, which resolves a complaint filed under title III of the ADA by an individual with a disability, requires, among other things, that Blockbuster provide comprehensive training to employees at more than 3,000 retail stores throughout the United States to ensure individuals with disabilities who use service animals have full and equal enjoyment of its goods, services and facilities. "The Americans with Disabilities Act guarantees equal access to individuals with disabilities who are accompanied by service animals, but too often those individuals are subject to discrimination because of misperceptions or a lack of understanding of the law," said Thomas E. Perez, Assistant Attorney General for the Civil Rights Division. A service animal is individually trained to work or perform tasks for the benefit of an individual with a disability. Service animals - most commonly dogs - perform a wide variety of functions. Examples of these functions include guiding persons who are blind or have low vision, alerting individuals who are deaf or hard of hearing to sounds, warning persons about impending seizures or other medical conditions, performing a variety of tasks for persons with psychiatric disabilities, and picking up items, opening doors, flipping switches, providing physical support and pulling wheelchairs for individuals with mobility disabilities. Title III of the ADA prohibits discrimination by retail stores, restaurants, hotels, taxi and bus companies, doctors, hospitals and other private businesses and nonprofit organizations that provide services to the public. Title II of the ADA prohibits discrimination by public entities, including state and local governments and public transportation providers. All of these entities are prohibited from excluding individuals with disabilities from their facilities, services and programs because the individuals use service animals. If any of these entities has a rule excluding pets or other animals, it must make an exception to that rule and permit an individual with a disability to be accompanied by a service animal anywhere on the premises that other customers are permitted to go. "The ADA's 20th anniversary is July 26, 2010," said Assistant Attorney General Perez. "As we celebrate the anniversary of this landmark civil rights law, we are pleased that Blockbuster has affirmed its commitment to ensuring that individuals with disabilities benefit fully and equally from its goods, facilities, and services, including individuals who use service animals." More information about the Civil Rights Division and the laws it enforces is available at the website www.justice.gov/crt. More information about this agreement, the ADA, and ADA rights and responsibilities relating to service animals is available on the ADA home page at www.ada.gov. This information includes two publications specifically addressing access for individuals accompanied by service animals: "ADA Business Brief: Service Animals" and "Commonly Asked Questions About Service Animals in Places of Business." Those interested in obtaining copies of these documents or additional information may also call the Justice Department's toll-free ADA Information Line at (800) 514-0301 or (800) 514-0383 (TTY). The team at Global Dialysis has launched a renewal effort because they are convinced that the need for dialysis should not keep people from traveling. Global Dialysis is the premier resource for people looking for information about haemo and peritoneal dialysis around the world. This is invaluable for people planning trips for travel, holidays and business. Created in January 2000 and born out of our frustrations at being unable to find dialysis centres for travels, our database of dialysis information and centres has grown to almost 15,000 in over 300 countries. We are now the premier resource for the dialysis community with over 1/2 million unique visitors each year. New developments We are undergoing an exciting redevelopment of our site at the moment and are planning regional profiles from areas of the world where people like to go for their trips away. If you want us to feature a particular part of the world or you are a group of dialysis centres in a region and want to raise your profile just drop us a line! disabilities as they implement new communication technologies. light of the industry?s conversion to digital technology. equipment and furniture accessible to persons with disabilities. Aeroporto do Gale?o disponibiliza vídeo informativo em língua de sinais. O Aeroporto Internacional do Rio de Janeiro/Gale?o - Ant?nio Carlos Jobim disponibiliza desde o último dia 16 vídeos informativos na Língua Brasileira de Sinais (Libras) para seus usuários.A mensagem - contendo orienta? ?es sobre onde o usuário pode buscar informa? ?es, é veiculada 24 horas por dia, a cada 30 minutos, em 13 monitores, localizados nos Terminais de Passageiros 1 e 2. O filme também traz legendas em português e inglês. I am working for the Belgian Center for Equal Opportunities and we defend individual cases here for persons with a disability. Recently we have received a complaint of a person who is deaf and would like to travel in group with an organization to the Middle East. The trip is guided but there are also some moments where the participants might spend some hours alone in a city for example. The travel organization refused his participation because they say that it will be impossible for him to talk to the people of the region -and therefore declare it unsafe. They suggest he takes an assistant with him for the whole trip on his own expenses. The plaintiff refuses to do so because he wants to be independent and go by himself just like everyone else. Would you have any good examples/real stories of persons who travelled in group with an organization and that were deaf or hard of hearing? We really need to overcome and counter the stereotypes and prejudices that the organization has in our country and a good example would be the perfect way to do it. Thank you very much for reading this email and for your answer. Older Australians are set to gain from the release of new voluntary standards for universal housing design. Leaders from the housing industry and the disability sector worked together to develop the standards through the federal government's National Dialogue on Universal Design. Master Builders Australia and the Housing Industry Association have also agreed to a target to make all new homes compliant with universal design principles by 2020. The livable housing guideline establishes three levels of standards - silver, gold and platinum. To meet the baseline silver standard, houses must have a stepless entry, wide doors and corridors, a ground-floor toilet and a bathroom with a hobless shower and reinforced walls. The Older Persons Affordable Housing Alliance - made up of Aged and Community Services Australia (ACSA) and Council on the Ageing (COTA) - said the decision was a milestone for older Australians. COTA has been campaigning for a broad application of universal design principles for over a decade and COTA was directly involved in the development of the guidelines. CEO, Ian Yates said the guidelines followed common sense and would prove useful for older Australians. "One of the big issues that always gets raised is that it costs money to do this but in fact, the industry tell us that the cost is only two or three thousand dollars extra for each house and the more it is adopted, the less that cost will be," he said. "At the moment, a lot of these things are non-standard items but if they are used more, they will become standard items and the cost will decrease. "The amenity gained from these design characteristics far outweighs the cost and I would predict that in a few years, people will ask why on earth we didn't do this earlier because it will bring about enormous savings on retro-fitting." The Older Persons Affordable Housing Alliance is now focusing on ways to upgrade existing homes to make them accessible. ACSA CEO, Greg Mundy said the federal government should consider consolidating the various programs for renovating and restoring current building stock. "There are lots of government programs that support home modification for older people but they are a little bit piecemeal and a little bit underdone," he said. "It would be a good area for strategic investment because these modifications just require a one-off cost and they have the potential to be quite cost effective." The federal government will contribute $1 million towards the establishment of an organisation that will promote the new livable housing guidelines. Click here for more information on the voluntary livable housing guidelines. Quais cidades brasileiras já implementam a? ?es inovadoras e apresentam resultados expressivos com rela? ?o à inclus?o de pessoas com deficiência? Acesso à Saúde, Reabilita? ?o, Educa? ?o, Transporte Público, Habita? ?o, Trabalho e Emprego, Esporte, Cultura e Lazer: quais os avan?os mais significativos e quais os desafios a serem enfrentados com rela? ?o à acessibilidade e elimina? ?o de barreiras para pessoas com deficiência pelos municípios brasileiros? Para responder a essas e outras perguntas, no dia 1o de julho de 2010, às 10h no auditório da Secretaria de Direitos Humanos da Presidência da República, será lan?ado o projeto Cidade Acessível é Direitos Humanos. O projeto, executado pela Subsecretaria Nacional de Promo? ?o dos Direitos da Pessoa com Deficiência (SNPD/SDH), tem início com seis municípios que já implementam políticas, programas e a? ?es de promo? ?o dos direitos das pessoas com deficiência: Campinas, Fortaleza, Goiania, Joinville, Rio de Janeiro e Uberlandia. The National Institute of Advanced Studies in Architecture along with Ekansh are organizing a seminar in Pune, India from 19th to 22nd at the CDSA campus. Expertise: With a double graduation in Hotel Management and Architecture, and a PG degree in Inclusive Environments from UK under her belt, Shivani Gupta is a well known Access Consultant in India.Shivani has authored several subject books on accessibility which are widely used as resource manuals by the practicing architects and designers. Topic: Accessibility beyond physical access, Useability, Universal Design, The present legal framework for Accessibility and the future trends. Topic: Universal Design on the urban streetscape, inclusion in the culture sector: Museums and less observed sports and marina facilities. Expertise: Barrier free design solutions for existing public institutions. Is a parent, founding member and trustee of the parent support group 'Forum for Autism'. Topic: Designing for the differently abled. DRDF will be represented by Nilesh Singit, Abhishek Ray and Prabeen Kumar Bebarta on the second day of the seminar. As we celebrate the 20th anniversary of this program, there has never been a better time to update your skills in universal design and standards compliance. The new ADA/ABA Guidelines have been adopted as a standard by the GSA, DOD, and USPS requiring compliance by all federal buildings they own or manage. DOT has adopted them as a standards for all transportation facilities. As these new guidelines are adopted as standards by the Department of Justice and HUD, they will replace UFAS and the current ADA standards. In addition, most states and local authorities are updating their access standards. These major revisions in accessibility guidelines, codes, and standards are changing the way buildings are designed (and the professional responsibilities of designers). 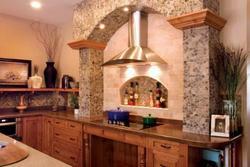 At the same time, consumer demand for universal design is increasing. A diverse, aging population remains in the workplace, requiring accommodation to do so. Customers of all ages, sizes, and abilities are demanding products, housing, and public spaces to meet their needs. Patients are empowered by accessible health design while reducing workers' compensation claims and threats of litigation. Multiunit housing projects of all types must comply with the Fair Housing requirements to accommodate the demand of a rapidly growing population of residents with disabilities. Cynthia Leibrock opens the three-day program with a presentation of universal design research including the latest findings from Japan and northern Europe. Then James Terry discusses accessibility consulting opportunities in private practice. Bill Hecker reviews common errors in Fair Housing together with Justice Department findings. Finally the class will adjourn to an optional dinner with the instructors at the Harvard Faculty Club. Day 3 begins with an eye-opening video on a day in the life of a wheelchair user. Participants will then be asked to select from a variety of case histories, which may include health care facilities, public right-of-way projects, assisted-living projects, residential projects, historic properties, hospitality projects, schools, and more. Cynthia Leibrock, James Terry, and Bill Hecker will choose from over 10,000 images and from design research gathered over 30 years to tailor this day to class areas of interest. In addition, the instructors will also be available throughout the course for extended one-on-one sessions to answer your specific questions and discuss your particular interests. We will adjourn to an optional dinner with the instructors at the Museum of Fine Arts, Boston to complete our 20th-year celebration. Whether you are a code specialist, transportation engineer, architect, interior designer, facility or project manager, and whether your practice is residential or commercial, focused or diverse, you will find the interactive three-day program customized by the instructors to meet your needs. 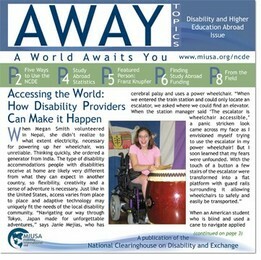 Preconference materials including a white paper on universal design and safety will be mailed to you. Demonstrate up-to-date skills in universal design and accessibility-standards compliance. Recognize the common compliance errors made in Fair Housing and the ADA standards. Master the components and scope of the New ADA/ABA. Analyze universal design research including the latest findings from Japan and northern Europe. Carry out review of case studies in specific areas of specialization. Participants in the three-day program "Universal Design, Fair Housing, and the New ADA/ABA," August 4-6, and participants in the one-day program "The New ADA/ABA and an Introduction to Universal Design Concepts in Practice," August 5, will meet together for the "New ADA/ABA" lecture. Cynthia A. Leibrock, MA, ASID, Hon. IIDA, is an award-winning author, international lecturer, and designer with more than 35 years' experience. Her mission is to improve the lives of older and disabled people through design. She is the principal/founder of Easy Access to Health, LLC, Livermore, CO, which offers consulting services in health care design, planning for independent living, product analysis, and judiciary witness services. Prominent projects include the Betty Ford Center, the UCLA Medical Center, automotive interior design for Toyota, and a universal design exhibit for the Smithsonian Institution. She has completed a universal design showroom for the Kohler Company (training over a million consumers) and a "living laboratory" in Fort Collins, CO, for research into the environmental needs of older people. Ms. Leibrock offers keynote presentations and workshops internationally, including multiple lectures for Fortune 500 companies. She has served as a lobbyist for people with mental disabilities and as a research associate on the dean's staff at Colorado State University, conducting health care design research in Scandinavia, northern Europe, and Japan. She is author of Design Details for Health: Making the Most of Interior Design's Healing Potential (Wiley, 1999) and Beautiful Barrier Free: A Visual Guide to Accessibility (Wiley, 1997), and coauthor with James Evan Terry of Beautiful Universal Design (Wiley, 1999). She has twice been awarded the Polsky Prize for literature. Bill Hecker, AIA, is an architect and accessibility consultant at Hecker Design, LLC., Birmingham, AL. He has been involved in numerous landmark lawsuits related to the Fair Housing Act, ADA hotel requirements, movie theaters, and curb ramp-transition plans. Since 1994 he has been an expert witness for the Department of Justice on ADA and Fair Housing Act cases. James L. E. Terry, AIA, is the CEO and leader of the access-compliance team at Evan Terry Associates, PC (ETA), a Birmingham, AL, architectural firm. ETA consults with institutions, corporations, and federal and local government clients to help them assimilate accessibility requirements and universal design solutions into their facility planning, maintenance, and customer service programs. Deborah Burnett, ASID, CMG, is an internationally recognized health and wellness interior designer, author, and researcher in the emerging field of Epigenetic Design. This practice is the embodiment of intent-driven, evidence-based architectural and interior design devoted to a working knowledge of how the body and brain are directly affected by the built environment. In addition to consulting on projects throughout the world, Ms. Burnett's work includes clinical and academic research, public education and outreach, academic lectures, and presentations in the popular media. John H. Catlin, FAIA, is a founding partner of LCM Architects. LCM is located in Chicago Illinois and provides conventional architectural services as well as accessibility and universal design consulting. LCM provides consulting for ADA Title II and Title III as well as the Fair Housing Amendments Act. Jack was appointed by President Clinton to the U.S. Access Board in 1994 and served two terms. He chaired the Board in 1995-1996. He also is one of two technical trainers for HUD's Fair Housing FIRST program. Valerie Fletcher is executive director of the Institute for Human Centered Design (formerly Adaptive Environments), which has hosted or cohosted five international conferences on Universal Design. Ms. Fletcher currently oversees projects in universal design at the urban scale, in public transit, in mixed-use development, and in residential and school design. She lectures and writes internationally and is a special advisor to the U.N. Department of Economic and Social Affairs. The Boston Society of Architects honored her with the Women in Design Award in 2005. Susan M. Goltsman, FASLA, specializes in the planning and design of environments for children, youth and families. One of the pioneering national experts in universal and environmental design, recreation planning and accessibility, Ms. Goltsman is a frequent keynote conference speaker and has advised government agencies and communities around the world, including developing policy frameworks and standard designs for the U.S. Army Corps of Engineers, General Services Administration, and many cities in the U.S. and Canada. She advised the U.S. Access Board and served on the committee that established national ADA guidelines for outdoor environments. She was co-author of the groundbreaking book, Play for All Guidelines (MIG Communications, 1987). Marsha K. Mazz is a senior accessibility specialist and the technical assistance coordinator for the U.S. Access Board. She has been with the board since 1989 and handles oversight of the continued development of the ADA Accessibility Guidelines, oversees the technical assistance program for the ADA and the Architectural Barriers Act (ABA), and is the Access Board's representative to the model code organizations. She is on the ICC/ANSI A117 Committee and the ASME A18 Committee on Safety Standards for Platform Lifts and Stairway Chairlifts. Her prior experience includes service with a center for independent living, as a member of the Maryland State Planning Council on Developmental Disabilities, and a board member for the National Council on Independent Living. Additionally, working for the Disabled Student Services office, she assisted a major state university in responding to the requirements of Section 504 of the Rehabilitation Act of 1973. She has also served as chair of the Prince George's County (MD) Commission on Persons with Disabilities and as chair of the Washington Metropolitan Area Advisory Committee on Transportation for People with Disabilities. Gregg C. Vanderheiden, Ph.D. is a professor of Industrial and Biomedical Engineering and directs the Trace R&D Center at the University of Wisconsin-Madison. He has worked in the field of technology and disability for just under 40 years. He created the first portable user programmable communication aid and first 'portable' text to speech synthesizer. Access features from Trace Center (StickyKeys, MouseKeys, etc.) are built into most every computer operating system today (MAC, Windows, Linux, X-Windows) as well as into Amtrak Ticketing machines, ATMs, Voting machines, WWII Memorial, and Automated Postal Systems across the US. He wrote the first computer access guidelines in 1985, consumer products guidelines in 1992, and the first Web Access Guidelines in 1995. He co-chairs the W3C WCAG working group and chairs the INCITS V2 Technical Committee. In addition, he has has worked with over 50 companies on design of their products. The Scientific Committee for the XVI World Congress of the World Federation of the Deaf invites the submission of abstracts for presentations. The official languages of the Congress are English, South African Sign Language and International Sign. The Organising Committee welcomes abstracts that focus on the XVI World Congress of the World Federation of the Deaf Theme "Global Deaf Renaissance" from birth to adulthood listed here. We come together to share our cultural heritages, our improved well being, the advancement of our human rights and our rich contribution to global prosperity; to demonstrate we are an essential part of human diversity in the world and its development. We come to learn from each other, to actively share common responsibility amongst ourselves and in the rest of the world. We come together at this Congress to collectively face current changes and future challenges confronting Deaf communities across the globe. We also come together in celebration of our future; to reaffirm the linguistic, cultural and political capacity of national and the worldwide Deaf community, to continue the recognition of sign languages in national laws and international policies, and to celebrate artistic, cultural, economic and social accomplishments. The XVI World Congress of the World Federation of the Deaf aims to inspire its attendees to take forward the concept of a renaissance, a rebirth of Deaf communities worldwide. A two-day international seminar on marketing Access Tourism, and Access Tourism development will be held in Hyv?ril?, Nurmes, Finland on the 15th and 16th September. During the recovery response to Hurricane Katrina the absence of Universal Design in modular and emergency housing was exposed on a tragic scale. Yet Universal Design continues to circulate through the mainstream as the only correct response to the aging of the population. I recently received a question on my Linked-In profile, asking me how Universal Design is achieved in the construction of modular homes. I wanted to share my reply with everyone. I would be happy to answer any additional questions. Feel free to post your questions as comments on this post, and I will post answers! Aging-in-place modifications can be made to the modular home during its construction in the factory, or modifications can be made once the modular is delivered to the home site and placed on the foundation. Typical things we can do in the factory would include installing all the components needed to create an accessible bathroom (curb-free shower, grab bars, wheelchair turnaround room, accessible sink), raised outlets/lowered light switches for easy access without reaching or bending, and widened doorways and hallways. We can have additional electrical wiring installed during the construction phase in the factory to accommodate automatic switches, locks, door openers, alarms, etc. which would be installed on site. Lever-handle type door knobs, that you can easily push down instead of gripping and turning, can also be installed in the factory. The Disability Rights Fund (DRF)--a grantmaking collaborative between donors and the global disability community which supports the human rights of persons with disabilities--today announced its second 2010 "Moving Rights Forward" grants round. Grantmaking in this round will be targeted to disabled persons' organizations (DPOs) in four regions and twenty countries: in Africa: Ghana and Uganda; in Asia: Bangladesh; in Latin America: Ecuador, Nicaragua and Peru; in the Pacific: Cook Islands, Federated States of Micronesia, Fiji, Kiribati, Nauru, Niue, Palau, Papua New Guinea, Republic of the Marshall Islands, Samoa, Solomon Islands, Tonga, Tuvalu, and Vanuatu. The broad objective of the Fund--which was officially launched in March 2008 and is a Project of Tides--is to empower DPOs in the developing world and Eastern Europe/former Soviet Union to participate in ratification, implementation and monitoring of the United Nations Convention on the Rights of Persons with Disabilities (CPRD). In the second round of 2010 grantmaking, applicant organizations from eligible countries may apply as: a) single organizations or partnerships for 12-month Small Grants and/or b) national DPO-led coalitions for 24-month National Coalition Grants. Grants to single organizations will range from USD 5,000 to 20,000 and will support efforts to build CRPD skills and to develop rights-based advocacy and monitoring on the CRPD. Grants to national DPO-led coalitions will range from USD 30,000 to 50,000 per year (60,000 - 100,000 over 24 months) and will support advocacy toward ratification of the CRPD, passage of specific legislation to accord with the CRPD, or the production of alternative/parallel reports to UN monitoring mechanisms. Interested organizations are urged to review the full eligibility criteria and application details posted at the Fund's website, http://www.disabilityrightsfund.org/grant.html. Any questions on the proposal process should be directed to info@disabilityrightsfund.org. The deadline for applications is August 19, 2010. In 2009, the Fund made 82 one-year grants to organizations in 14 countries (India, Mexico, Ukraine; Ecuador, Nicaragua, Peru; Ghana, Namibia, Uganda; Bangladesh; and Federated States of Micronesia, Fiji, Papua New Guinea and Solomon Islands), totaling USD 1,933,050. Grants ranged from USD 5000 - 70,000 and supported CRPD skills-building, local rights advocacy, and national-level CRPD promotion, implementation and monitoring by DPO-led coalitions. DRF's donors include Aepoch Fund, the American Jewish World Service, an anonymous founding donor, the Australian Agency for International Development (AusAID), the Open Society Institute, The Sigrid Rausing Trust, and the United Kingdom's Department for International Development (DFID). Mixed ability dance troupes, like the San Francisco Bay Area's pioneering AXIS Dance Company, have tremendous impact on audiences. I recall the first performance I attended. Mid-performance one of the dancers stopped about 12 fee directly in front of me. She removed her prosthetic leg. Another dancer came up. He stole it. She let out a horrible wail writhing on the floor trying to recover it. Then she began to babble and cry almost incoherently. The audience was transfixed by the emotion but never captured the words. The words were in Portuguese. To be in a crowd of several hundred with someone on the floor pleading with you to help her and realize that you are the only one who understands her words is a jarring experience. More than once I had to willfully remind myself that she was on stage and that giving her my wheelchair was not necessary! Finally, she calls out to David. When I see him power himself onto the stage in his wheelchair, my personal journey for the evening begins. I try to ignore that small adult in the wheelchair. "That is an actor, not a disabled man," my practised tolerance tells me. But I really can't. David makes his move. His facial expressions are extraordinary. They capture instantly delicate fleeting moments of mood and thought. A slight twist of facial muscles tells an entire story. Freed from social stigma or any other inhibitions, the last dance is extraordinarily beautiful. Before me is neither deformity nor normality, only the rules of art that have created a world that had just remade us. ...the last dance reassembled [David's] relationship with Lucy, and internally reassembled with new knowledge an audience torn up with shame, anguish, and anxiety yet eager to be saved and liberated from their pasts. Never again would I feel uncertain in the presence of the disabled. Now, like learning a new language, I have the gift to enter another world. But there is one more layer to it. Ndebele ties what has been portrayed on stage to the all-encompassing spectacle of the 2010 World Cup. The fact that this production is so powerful is also related to the unrelenting - some would say fierce - battle that has been waged by disability rights activists and accessibility experts within the disability community in South Africa over the past several years to assure that people with disabilities are fully integrated not only in the audience of the Baxter Theater, but behind, and now on, the stage, on the buses, and in hotels, and soccer stadiums of this rising country. When I was invited by various provinces to report on South Africa's readiness for disabled FIFA 2010 fans I was not generous with praise or particularly hopeful. Perhaps if I had known that a British actor and a South African choreographer had a plan or that writer Njabulo Ndebele had such perceptiveness I would have been more hopeful. Art - and sport - change cultures. Congratulations to all those who are changing it toward greater inclusion. O III Congresso Internacional de Turismo Para Todos, terá lugar em Valladolid, Espanha, a 25 e 26 de Novembro de 2010. Este evento é organizado pela Fundación ONCE, funda? ?o para a coopera? ?o e inclus?o das pessoas com deficiência e conta com a especial colabora? ?o da Rede Europeia de Turismo Acessível. Est?o convidados a assistir todas as pessoas e institui? ?es interessadas em conhecer o estado actual e futuro do Turismo para Todos. O tema principal deste III Congresso Internacional, é o Turismo Cultural, destinado a profissionais do sector cultural que pretendam melhorar a sua participa? ?o no turismo. Tem como principal objectivo a cria? ?o de unidades de Acessibilidade Universal e Design para todos, para promover a inclus?o das pessoas com necessidades especiais. - Sensibilizar a industria do turismo sobre a necessidade de estabelecer directrizes claras para Design para Todos e acessibilidade Universal. In October 2009, the Cultural Ministers Council of all nine state, territory and federal arts ministers, released the National Arts and Disability Strategy. The Strategy addresses the rights of people with a disability to have access to, and full participation in, arts and cultural activities in Australia. The National Arts and Disability Strategy was developed by the Cultural Ministers Council after a national public consultation process with over 100 responses in addition to input from peak bodies including Arts Access Australia. - Improving policy development and planning within governments. In addition, in 2010, Australia is developing its first national arts curriculum. Now that the Strategy has been created it is vital that you share your views on the most important priorities for governments to strengthen, fund and support. We have created the survey below for the purpose of collecting your response to priorities outlined in the document and so that you can let the government know what you want this Strategy to do for you. If you can spend a little time (15 mins) filling out the survey Arts Access Australia and our state and territory members will be better able to support you and provide government with your ideas and comments. If you would like to receive this survey in an alternative format or record your responses via an interview, please contact Arts Access Victoria at info@artsaccess.com.au or phone 03 9699 8299.
and international students with disabilities. * Ways that disability service providers can utilize the NCDE services. María Jesús Ruiz, vicepresidenta primera y consejera de Medio Ambiente de Castilla y León y el consejero de Familia e Igualdad de Oportunidades, César Antón, han presentado en el Monumento Natural La Fuentona (Soria) el Programa 'Castilla y León, accesible por naturaleza' en un acto que contó con la presencia del responsable de Instituciones de Castilla y León de la Caixa, Gerardo Revilla; el alcalde de Muriel de la Fuente, Alfredo Lafuente, así como representantes de la junta rectora del espacio natural. Desde 2007, la Fundación Patrimonio Natural de Castilla y León y la Obra Social 'la Caixa' colaboran en proyectos de mejora medioambiental y de accesibilidad en los espacios naturales de la Comunidad con una inversión de 5 millones de euros por parte de la entidad financiera. Las medidas de accesibilidad y la supresión de las múltiples barreras existentes en los espacios naturales, no sólo van destinadas a las personas con discapacidad (visual, auditiva, física, psíquica), sino que de ellas se podrá beneficiar toda la población en general. María Jesús Ruiz y César Antón han visitado la adecuación de infraestructuras de uso público y mejora de la accesibilidad en la senda de La Fuentona, que ha supuesto una inversión que supera los 350.000 euros. El programa 'Castilla y León, accesible por naturaleza' ofrece a las asociaciones, federaciones y entidades que aúnan a colectivos de personas con capacidades funcionales diferentes, visitas guiadas a cuatro Casas del Parque y sendas accesibles de la Red de Espacios Naturales de Castilla y León, desarrollo de actividades específicas y flexibles según necesidades de los participantes y adaptaciones materiales concretas para facilitar las actividades y visitas. Este programa pretende, por una parte, conseguir que los espacios naturales de Castilla y León sean accesibles a todos los ciudadanos, lo que permitirá hacer realidad la igualdad de oportunidades de las personas con capacidades funcionales diferentes en cuanto al disfrute de la naturaleza y, por otra parte, acercar a éstas a los espacios naturales, proponiendo así una nueva vía o posibilidad de ocio y esparcimiento. La solicitud para participar en el programa se realiza a través del teléfono de información y reservas de las Casas del Parque. La reserva se realiza con una antelación de 15 a 20 días. El uso y disfrute de los espacios naturales compatible con la conservación del entorno es uno de los objetivos fundamentales de la Red de Espacios Naturales de Castilla y León. Una de las alternativas de ocio y cultura utilizada por miles de personas cada a?o, son los espacios naturales. En este sentido, en 2009, las casas del parque de los espacios naturales de la Comunidad fueron visitadas por más de 530.000 personas. Son muchas las personas con discapacidad que se verán beneficiadas por la mejora de la accesibilidad de estos espacios. Por esta razón, la Consejería de Medio Ambiente asume los criterios de dise?o universal en sus infraestructuras de uso público. El 'dise?o universal' integra las características y necesidades de un amplio espectro de la población, dando como resultado entornos aptos para el uso del mayor número de personas. El dise?o para todos no significa hacer ambientes específicos para personas con discapacidad, sino en concebir entornos que puedan ser utilizados por todos los ciudadanos, independientemente de las características personales. La Consejería puso en marcha en 2006 el programa de Accesibilidad en Espacios Naturales Protegidos de Castilla y León, con el fin de mejorar la accesibilidad en estos, permitiendo el uso y disfrute de los mismos a todo tipo de visitante. Para lograrlo, las propuestas de intervención en las instalaciones existentes y en proyecto se fundamentan en criterios de Dise?o Universal. Esta propuesta se engloba en el marco de la Estrategia Regional de Accesibilidad de Castilla y León (2004-2008). Los objetivos perseguidos por la REN de Castilla y León en esta materia son impulsar la accesibilidad de los espacios naturales, proponer una nueva vía o posibilidad de ocio y esparcimiento a las personas con discapacidad, difundir la accesibilidad universal desde la transversalidad, satisfacer las necesidades de las personas con discapacidad y sensibilización de la población local. 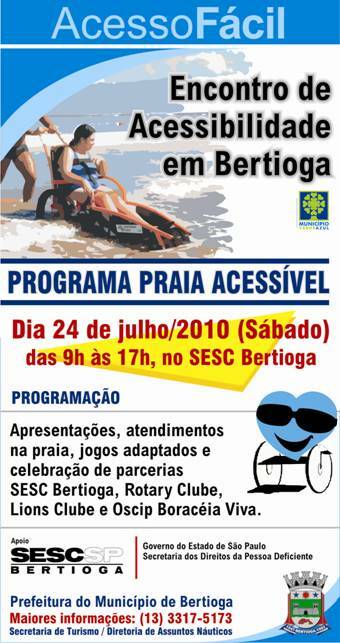 Estamos preparando um evento especial para o dia 24 julho, com a parceria do SESC-Bertioga: Encontro Acessibilidade em Bertioga. Gostaríamos de convidá-lo. O evento se estenderá por todo o dia com apresenta? ?es, vivências e atividades de atendimento na praia. The Bureau of Democracy, Human Rights, and Labor is pleased to announce the appointment of Judith Heumann as the Special Advisor for International Disability Rights. Special Advisor Heumann will lead the Administration's efforts to develop a comprehensive strategy to promote the rights of persons with disabilities internationally; coordinate an interagency process for the ratification of the Convention on the Rights of Persons with Disabilities; ensure that foreign assistance incorporates persons with disabilities; lead on disability human rights issues; ensure that the needs of persons with disabilities are addressed in international situations; and conduct public diplomacy, including with civil society, on disability issues. During the July 24, 2009 announcement of U.S. signature to the Convention on the Rights of Persons with Disabilities, Secretary Clinton noted that "expanding opportunity and supporting human rights are among the most important guideposts of our foreign policy." The Secretary further noted that "discrimination against people with disabilities isn't only an injustice, it is a strain on economic development, a limit to democracy, a burden on families, and a cause of social erosion." For these reasons, the Secretary expressed her commitment "to make support for people with disabilities a central element in the State Department's strategy worldwide." Special Advisor Heumann may be reached at 202-647-4298. The Executive Assistant to the Special Advisor for International Disability Rights, Katherine Guernsey, may be reached at 202-647-1677. Looking at Universal Design, emotional design - and just plain excruciatingly bad design Mike Drummond demonstrates that, "If design is not part of your initial development plan, you're doomed." For product developers and inventors, design is an essential ingredient that needs to go into the mix early - it's the flour or the water or the egg in the cake, not the frosting spackled on at the end. "When I hear 'dropping in design' at the tail end (of a new product development project), the hairs on the back of my neck stand up," says [Tom] Kubilius, an engineer and industrial designer. "If you're going to 'drop in' design," he adds, "it should be the 101st Airborne and be the first in." Design is "an argument for doing something or not doing something," Kubilius says, while engineering is an argument for how that something works. Design poses the question: "Is this even the right thing to do? Having design answer that can inform whether you even make a product." 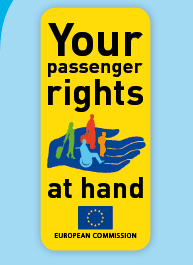 Passengers will enjoy easier access to information about their rights when travelling by rail or air thanks to a Europe-wide publicity campaign in 23 languages launched by the European Commission today. Posters reminding people of their rights will be displayed in airports and train stations in all Member States starting today in time for the beginning of the holiday season. Travellers will also be able to consult free leaflets and a specially designed website in all of the European Union's official languages. Incidents such as where wheelchair travellers were not allowed to board should not happen any more! This was so worrying for many wheelchair users are independent travellers. A Cidade de Santos sediará, pela segunda vez, o 9o Campeonato Brasileiro de Dan?a Esportiva em Cadeira de Rodas e a 9a Mostra Artística Nacional. Os eventos acontecem nos próximos dias 9 e 10, respectivamente. As duas atra? ?es s?o promovidas pela Confedera? ?o Brasileira de Dan?a em Cadeira de Rodas. S?o esperados 60 competidores de vários estados que ficar?o alojados na escola municipal Jo?o Papa Sobrinho, no Gonzaga. O campeonato será realizado no Complexo Esportivo Rebou?as, na Ponta da Praia, a partir das 19h, nas categorias três dan?as latinas (samba, rumba e jive) e cinco dan?as latinas, sendo acrescidos o cha cha chá e passo doble. A disputa será entre casais, sendo que um dos integrantes da dupla deverá ser usuário de cadeira de rodas. O torneio é válido como seletiva para o campeonato mundial. A Escola Municipal de Dan?a em Cadeira de Rodas, da Secult (Secretaria de Cultura), participará com cinco duplas. obtain her Master's of Social Work (MSW) at the University of Washington. As someone who has been building websites for over 11 years, I can tell you the two areas that are the least understood and the most maligned are compliance and accessibility. Seen as a type of website welfare, only for the few, they are often ignored as an "only if I have to" or "only if I'm sued" addition to most websites. But following W3C compliance and the WCAG (Web Content Accessibility Guidelines) Level AA can help you reach an untapped $13 trillion market, and also reduce your IT costs, ready you for mobile, improve your Google quality score, and organic search engine placements. No way you say? Yep, way. Here's how. El Grupo Parlamentario Socialista ha registrado en el Congreso de los Diputados una proposición no de ley para promover el desarrollo de las tecnologías de accesibilidad en los ámbitos empresarial, industrial y de servicios. En concreto, la propuesta --que se debatirá en la Comisión para las Políticas Integrales de la Discapacidad-- insta la Gobierno a fomentar estas tecnologías en los ámbitos se?alados mediante la colaboración entre las iniciativas privadas y públicas. El objetivo es "hacer de la accesibilidad una herramienta para la integración social y la igualdad de oportunidades". En este sentido, la diputada socialista Paqui Medina ha destacado la importancia de la investigación y la innovación en la adaptación de tecnologías para las personas con discapacidad, especialmente en relación a las aplicaciones de las Tecnologías de la Información y la Comunicación (TIC), y la importancia del dise?o universal como herramienta de integración y de igualdad de oportunidades. "Es necesario visibilizar que el 'dise?o para todos' puede mejorar la funcionalidad, la innovación y la utilidad de los bienes y servicios, a la vez que permite producir y comercializar productos de mayor valor a?adido", afirma en la iniciativa. Recently the Oklahoma Tourism & Recreation Department (OTRD) announced grant recipients for the 2010 Recreational Trails Program (RTP). This year the department awarded more than $1 million to communities across the state. "The Trails Program gives communities the opportunity to build or enhance recreational trails for their residents to enjoy the outdoors," said Hardy Watkins, Executive Director of OTRD. The RTP provides for a Federal-aid assistance program to states for provision and maintenance of recreational trails for motorized and non-motorized use. The money for the projects is provided by federal transportation funds. In Oklahoma, the program is managed by OTRD. "The trail projects complementour mission of providing new and improved tourism destinations, an enhanced quality of life, and encouragement of healthy lifestyles for our residents and visitors," Watkins said.